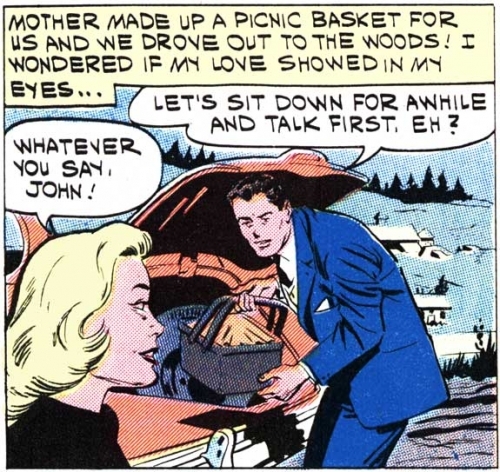 WOMAN: Oh, no! I forgot to get married...to...uh, what’s-his-name? SCENE: Man in a tuxedo helping a woman on with her wrap or coat. 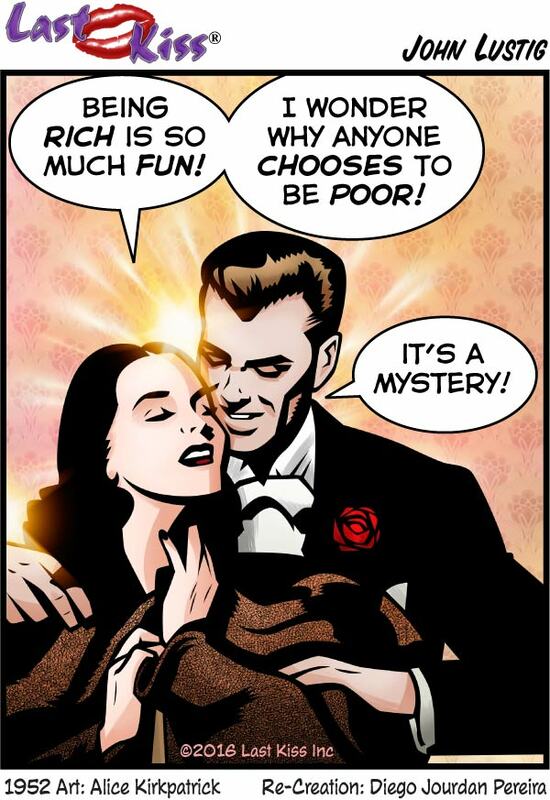 WOMAN: Being rich is so much fun! I wonder why anyone chooses to be poor! 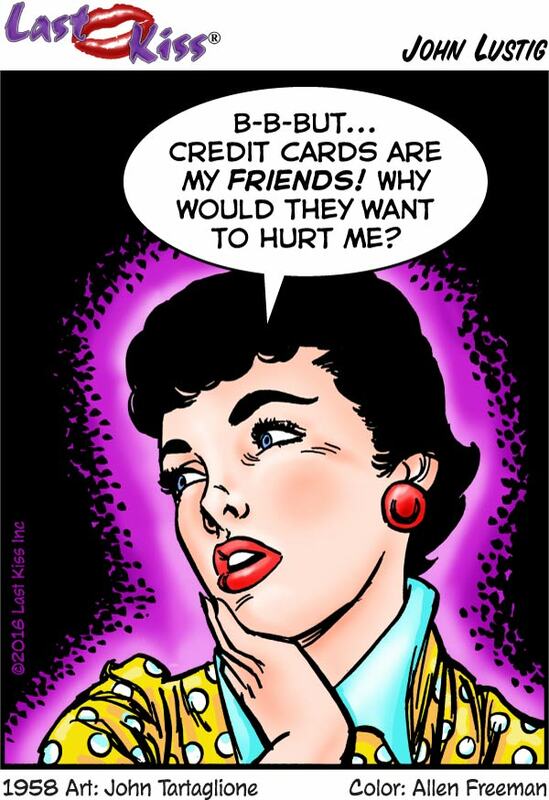 WOMAN: B-B-But…credit cards are my friends! Why would they want to hurt me? WOMAN: B-B-But...credit cards are my friends! Why would they want to hurt me? 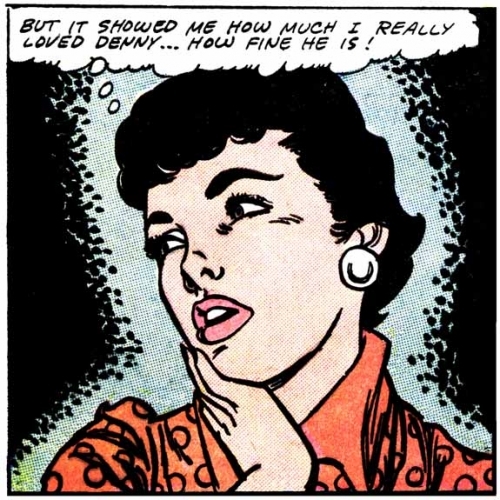 Art by Charles Nicholas & Vince Alascia from the story “Love Will Point the Way” in FIRST KISS #14, 1960. 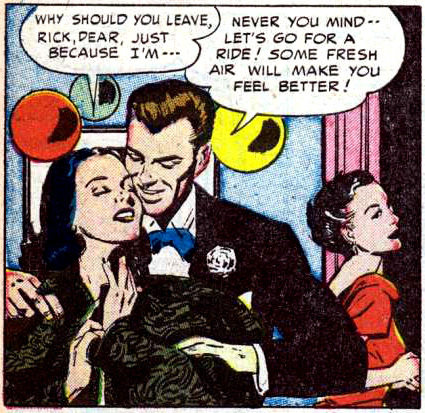 SCENE: Man and woman (in an apron) embrace—framed by an opening in a kitchen with pots and pans. 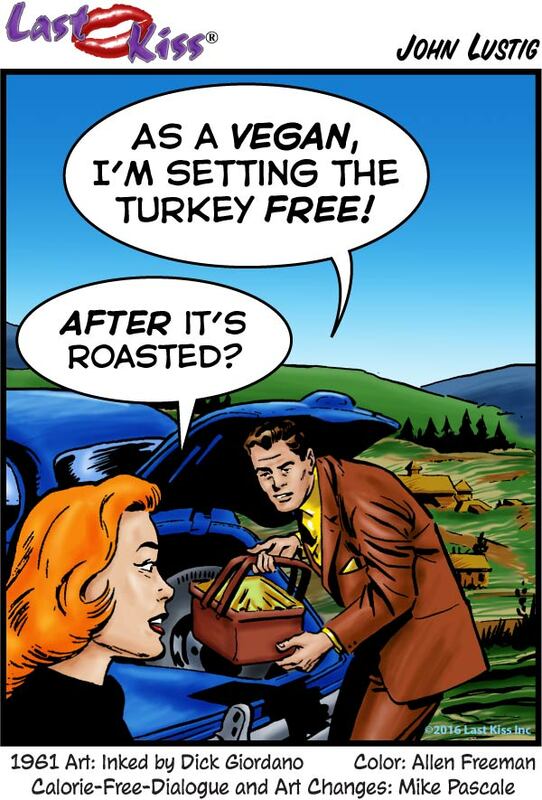 MAN: You’re going to make Thanksgiving great again? How? SCENE: Man and woman (in an apron) embrace---framed by an opening in a kitchen with pots and pans.